The number 13 is synonymous with rebellion and lawlessness. Nearly every act it is associated within the Bible is that of rebellion to God. 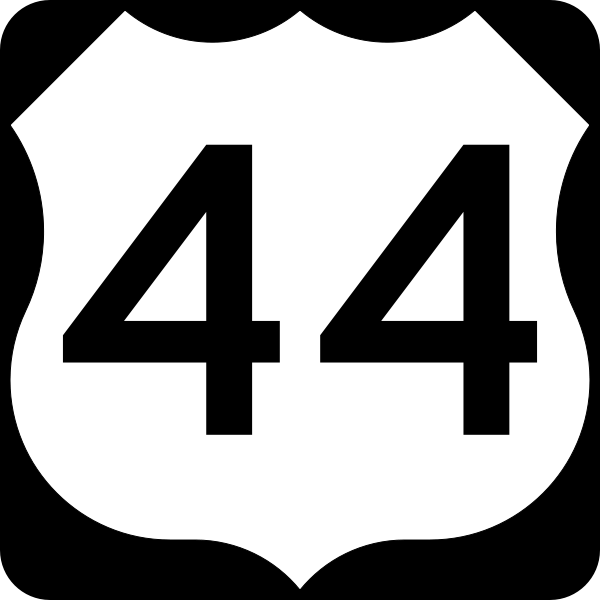 The number of lawlessness and rebellion. The dragon (the symbol for Satan) is written 13 times in the book of Revelation. The word “Giants” occurs 13 times in the bible. The name Michael occurs 13 times in the old testament. The Valley of Hinnom occurs 13 times in the bible and was the place of worship of the evil pagan god Moloch. People used to place their newborn children in the red-hot open hands of a giant statue of Moloch to be burned alive. Jesus mentions thirteen things that defile a person. They are adulteries, fornication, evil thoughts, murders, covetousness, thefts, wickedness, licentiousness, guile, blasphemy, foolishness, pride and an evil eye (Mark 7:20 – 23). The Bible speaks of 13 famines (Genesis 12:10, 26:1, 41:54; Ruth 1:1; 2Samuel 21:1; 1Kings 18:1; 2Kings 4:38, 7:4, 25:3; Nehemiah 5:3; Jeremiah 14:1; Luke 15:14 and Acts 11:28. The longest name of any book in the bible is “Thessalonians” which is 13 letters long. King Solomon spent only 7 years building Jerusalem’s Temple and 13 building his own home. Norse mythology has it that 12 gods sit down to a banquet only to have the 13th (uninvited) god Loki show up. (another version of the last supper?) I think so. In Roman mythology, you have Romulus and the 12 shepherds. (12 shepherds + 1 Romulus = 13). In Norse mythology 13 is a symbol of the Goddess Freya and her day is Friday. In French mythology, we have Roland who is the leader of the 12 peers. (Roland 1 + 12 peers = 13). In Danish mythology, we have the story of King Hrolfr Kraki and the 12 berserkers. (Hrolfr 1 = 12 berserkers = 13). In Greek mythology, there is the tale of Odysseus and his 12 companions. (Odysseus 1 = 12 companions = 13). In ancient mythology, the number 13 represents the Great Mother Goddess. The sacred chord of the Druids had 13 segments. In Egyptian mythology, there are 13 steps on the ladder that leads to eternity. In Egyptian mythology, there is also the story of Osiris it is said that he was murdered by Set and cut up into 13 parts. In Ancient Egypt the meaning of the number 13 was Immortality. 13 standard inches is equal to 33 centimeters. There is no 13th floor in any building in the U.S.
You will seldom if ever find the 13th room in a hotel in the U.S. There are 13 steps leading to the hanging gallows. There are 13 loops in a hangman’s noose. October 13, 1307, is the date the Knights Templar were rounded up, tortured, and executed. There are 12 Knights of the Round Table as well as King Arthur himself. Arthurian Myth – Lady of the Lake has 13 letters. During the quest for the Holy Grail, a damsel offers Bors (Knight of King Arthur) her love, which he refuses. Because of this, the damsel along with 12 other women (1 + 12 = 13) threaten to throw themselves from a tower. As they fall from the tower Bors thinks they had better lose their souls than his so he crosses himself and all vanish due to it being a deceit of the Devil. Merlin was said to have been captured by Nimue disguised as a hare. The legend says he now guards the13 Treasures of Britain and awaits rebirth. At Alderley Edge in Cheshire, Merlin is said to be underground with 13 Knights waiting for England’s hour of need. The 13th Tarot card is Death. There are 78 (6 x 13 = 78) Tarot Cards in a Tarot deck. The 13th Rune is Eiwaz. This rune is the balance point between light and dark. There are said to be 13 Crystal Skulls. In Norse mythology, an honorary banquet was held in Valhalla for Baldur with 12 Norse Gods. Loki arrives but is an uninvited guest. He is the 13th guest. On Friday 13th October 1307 the Knights Templar were arrested by order of the King of France Philippe IV. Jacques de Molay the last Grand Master of the Knights Templar was burned to death on Friday 13th March 1314. The Pope’s bull of 1313 banned the Knights Templar. The 13th Degree in Freemasonry is called the Royal Arch. 13 is the most correct number for Freemasons. In Ancient China the meaning of the number 13 was Completion and Perfection. In Numerology the Western Astrological Series of numbers 13 means New Beginnings. The 13th Hexagram of the I-Ching is T’ung Jen – Fellowship with men. There are 13 notches on the horn carried by the Venus of Laussel. In Classical Antiquity the13thmember of a group was considered to be a leader. 13 is an emblem for Sacred and Secret Knowledge. An Old English Superstition says that if 13 people meet in a room one of them will die within the year. An old saying states that if you have 13 letters in your name you will have the Devil’s luck. Dyrnwyn, (Sword of Rhydderch Hael), Platter of Rhegynydd Ysgolhaig, Basket of Gwyddno Garanhir, Knife of Llawfrodedd Farchawg, Cauldron of Tyrnog, Horn of Bran Galed, Chariot of Morgan Mwynawr, Robe of Padarn Beisrudd, Mantle of Arthur, Chessboard of Gwenddoleu, Whetstone of Tudwal Tudglyd, Halter of Clydno Eiddyn and the Cauldron of Tyrnog. Old English death portent – A clock striking 13 is an omen of death. In Old England farmers wives would always set 13 eggs under a hen for incubation, considering it unlucky to provide the hen with an even number. 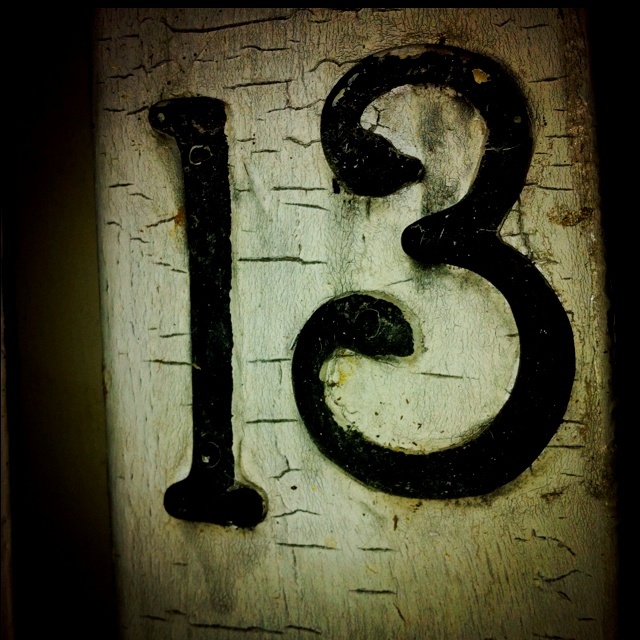 Gerald Gardner believed13 was the ideal number for a coven. This was made up of six perfect couples of men and women, plus a leader. 13 Witches were executed at Salem during the Witch Trials in 1692. Witchcraft – Book of Shadows = 13 letters. A Witches Coven traditionally numbers 13. The Council of American Witches has 13 Principles of Wiccan belief. 13 was the original number of covens that formed COG (Covenant of the Goddess) in 1975. 13 was the number of pages of a brief written on Witchcraft by the American law firm Nixon, Mudge, Rose, Guthrie, and Alexander of New York City in the 1960’s. All Hallows’ Eve (13 letters) better known as Halloween. John Dee, Alchemist, Mathematician, Astronomer, and Astrologer was born on July 13th, 1527 (Excluding the 13th but using July and the year 7 + 1 + 5 + 2 + 7 = 13). So as well as 13 within the date the remaining numbers also make 13. Church of Satan = 13 letters. The Order of the Garter is the highest order of Knights in Great Britain founded by King Edward III (13 letters and numbers). The order originally numbered 26 (2 x 13). There were 12 Knights which were led by King Edward III (12 + 1 = 13) and 12 Knights led by the Prince of Wales (12 + 1 = 13). In modern times it has 12 Canons and a Dean (12 + 1 = 13). As chief of the order, King Edward III bore 168 garters, plus an extra one on his leg (168 + 1 = 169 = 13 x 13). Celtic Mythology: Ysbaddaden gave 39 (3 x 13) tasks to Culhwch to perform in exchange for the hand of his daughter Olwen. In ancient Greece, Zeus was counted as the 13thGod. He was the most powerful of all the Gods of Greece. (5 + 6 + 2 = 13). The Esoteric meaning of this Hebrew letter is Death, however, the normal meaning is Water. The letters of Abracadabra using their position in the alphabet, add up to 52 which is 4 x 13. 13 red and white stripes on the U.S. flag. Independence Day is 13 days after the Summer Equinox and divides the year exactly in half. One side before & one side after.